Meal times can get really messy once your little one starts eating solid food and it’s important to use the right bib to make things easier for you and your child. It can often struggle to even get the food in their mouth and many times, they end up on the floor, their clothes and worse, your clothes. Bibs help in making cleanup easier and of course, it will be better for your baby’s hygiene. When feeding your growing baby, it’s also important that you provide the right nutrition. Toddlers have increasing needs so you must make sure that their snacks are also healthy. Here are some great quick and healthy snacks for toddlers that you can do at home. It’s also a great idea to use wipes to clean them up and here is a good guide on the best baby wipes. 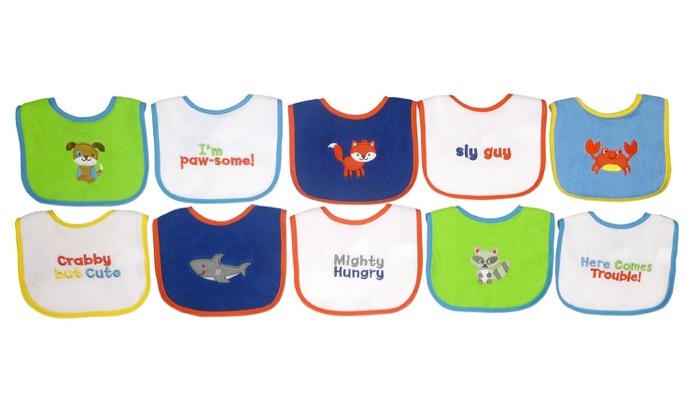 There are different types and sizes of bibs. How do you pick which one to get for your child? We’ve made a list of the best selections with varied features and styles. 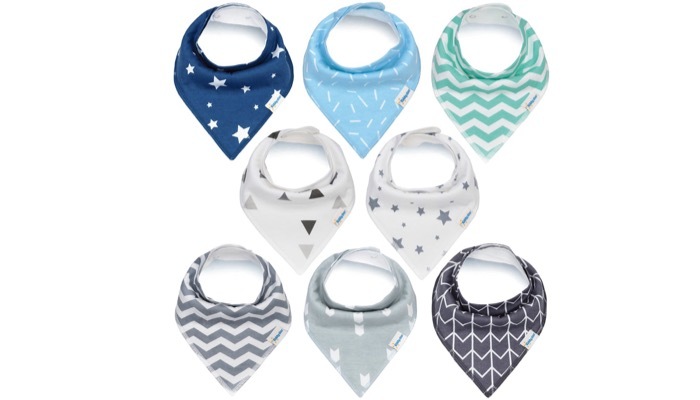 Our top choice is the Baby Bandana Drool Bibs. 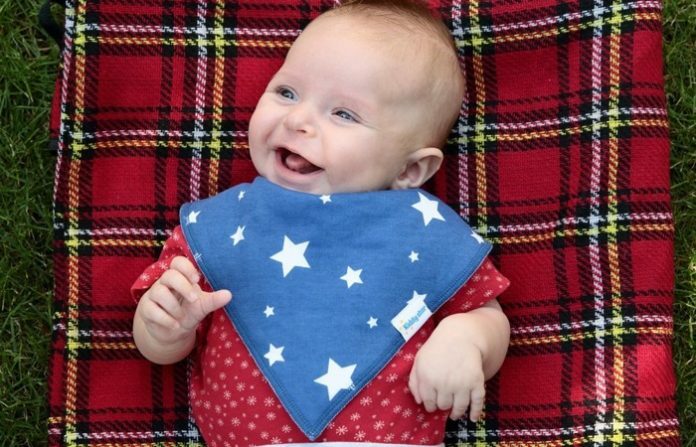 It’s a pack of 8 unisex bibs for drooling and teething. It has a dual layer of intelligent moisture management. The front layer is 100% cotton and the back is polyester fleece. The cotton absorbs effectively and does not let liquid drop beyond the bib’s boundaries. This bib prevents water from passing through to your baby’s clothes. It is easier to change and clean compared to normal clothes so this way you don’t need to worry about soiling their outfit. It’s hypoallergenic and has a durable design. 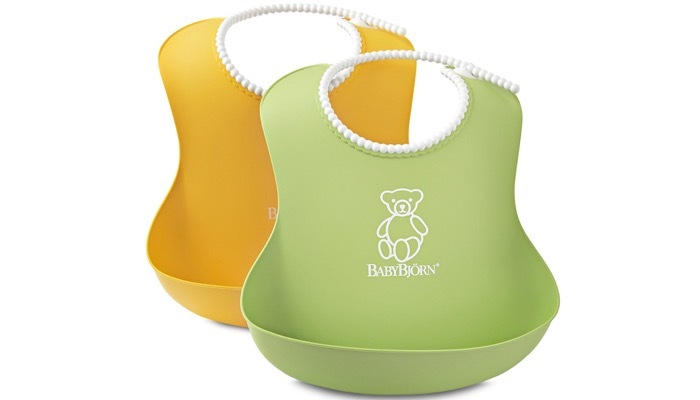 Our next top pick is the BABYBJORN Soft Bib. This is a set of two bibs. It’s comfortable to wear because of the soft neckband that rests gently against your baby’s neck and it has an adjustable fastener so the bib can grow with your baby. These bibs have deep pockets which will catch any mess. It has a durable material so it will retain its shape over time of use. It’s also easy to clean. Just use a damp cloth or rinse it under running water. You can even put it in the dishwasher. It’s made from a special fast drying plastic so it will dry right away after washing. A nice and functional alternative is the Bumkins Waterproof SuperBib. 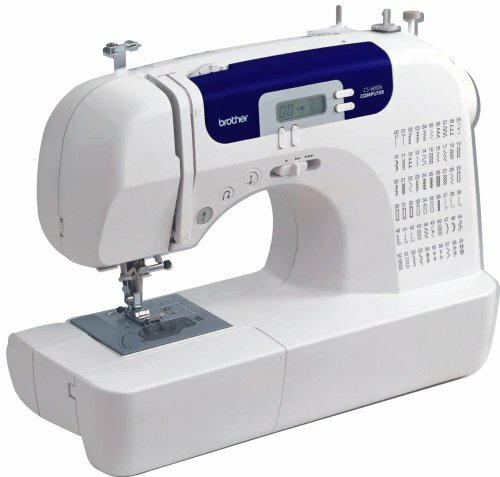 The fabric is an easy wipe, stain and odor resistant, and waterproof. It has a catch-all pocket so your baby’s spills won’t end up on their clothes. This bib is lightweight and machine washable. It will fit babies from 6 to 24 months. It features a Velcro closure so it’s quick, adjustable, and tug-proof. The fabric is 100% polyester with a waterproof coating so your baby will not get wet if they spill liquid or water. It’s also safe and won’t accidentally close in on your baby’s neck. 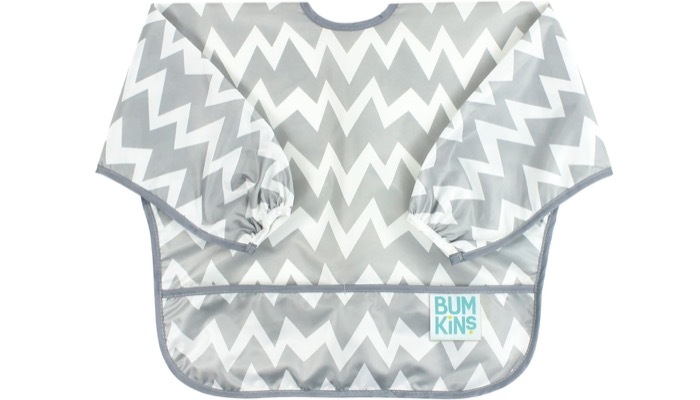 If you want something with a bigger size that will cover most of their clothes, the Bumkins Waterproof Sleeved Bib is a great choice. It features characters from DC Comics and Disney and other popular characters. This is a full coverage bib that has elasticized cuffs so the sleeve length is adjustable. The back tie closure allows a comfortable and custom fit. Its signature fabric is 100% polyester and has a waterproof coating. It’s lightweight so it’s very comfortable to wear and is easy to clean. This is also very durable. Another great option is the Dreambaby Pullover Bibs. It will let your toddler enjoy their food without you having to worry about the mess. 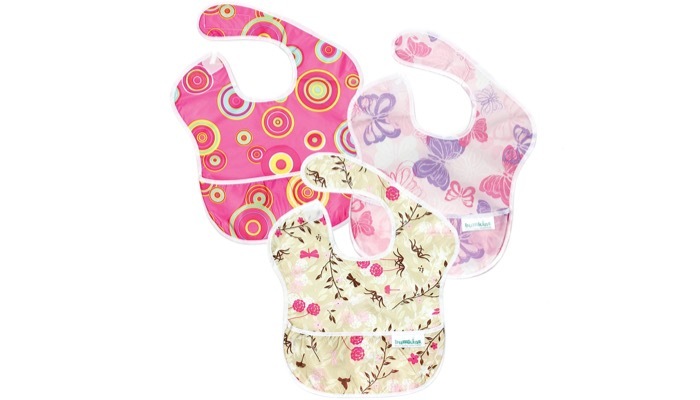 It’s a set of four bibs with nicely colored designs. This terry cloth pullover bib comes only in one size but will fit most kids. It features whales and owls in the design which your child will appreciate. It’s important to note that these bibs are not waterproof so you have to be mindful of your child’s clothes if they ever spill their drinks or water. An excellent affordable alternative is the Neat Solutions Water Resistant Drooler Bib Set. This is a great solution for messy mealtimes. It comes at a great price and includes 10 bibs. 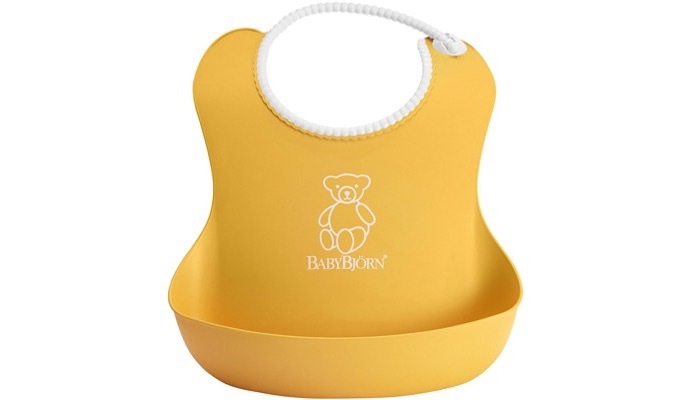 It features an easy closure to keep your baby clean and neat at all times. This has a water resistant backing so your baby is protected from liquid spills. It’s comfortable to wear so they won’t complain about it. It comes in nice bright colors with different designs, phrases, and animals. They have good coverage to protect your child’s clothes. Bibs won’t remove the mealtime mess entirely but they can greatly reduce it and provide a layer of protection for their clothes. This will make your laundry much easier. There are different types of bibs and choosing one will depend on your baby’s age and his needs. Feeding bibs go around your baby’s neck during feeding time. This type of bib is usually large to protect as much of their clothes as possible from food. Drool bibs are smaller and you can use them when you’re out in the park or mall. The small size allows them to roam without getting tangled. The long sleeve type covers the arms as well and the majority of their body. They can use this during art time or if they’re too difficult to feed. The reason you’re buying a bib is to reduce mess. 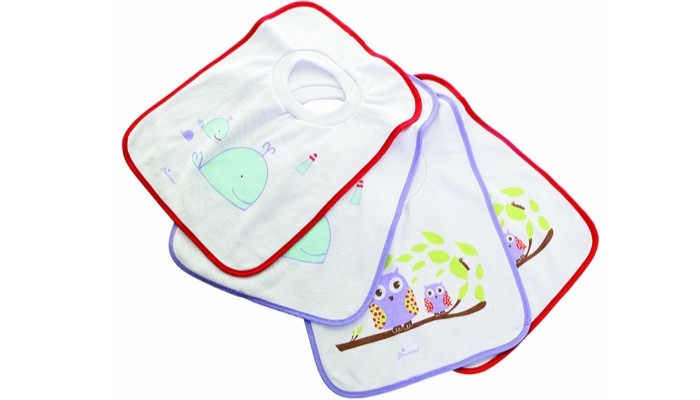 Your baby’s bibs should be easy to wash or wipe. 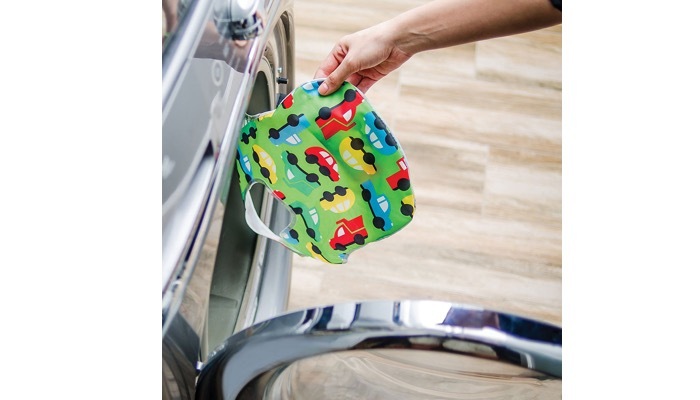 Some bibs are machine washable and others can also be put in the dishwasher. Your baby’s bib should have a snug fit. It should not be too tight or it could hurt them and would be difficult to remove. A loose fit will go all over their body and will make more mess. Look for bibs with adjustable closure at the back. The material of the bib should be comfortable. Otherwise, your baby will just attempt to remove it when he’s wearing it. the fabric should not be coarse or it would irritate their skin. Choose bibs that are soft and comfortable. Other more special bibs have a design that allows it to catch spills. This is a great extra feature and will make cleanup very convenient for you. Other things to consider are waterproof coating and Velcro straps. These will make the bib easier to use and clean.